One Flew Over The Cuckoo's Nest. 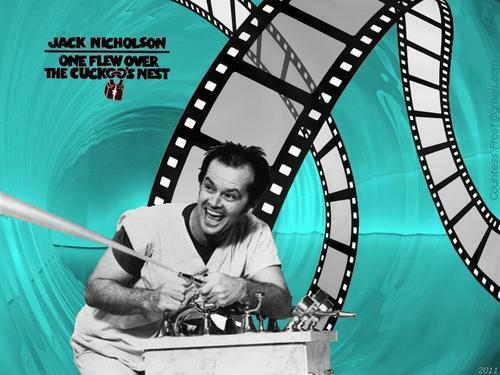 'One Flew Over The Cuckoo's Nest' - karatasi la kupamba ukuta created kwa TheCountess, with Jack Nicholson in one of his memorable scenes as Randle Patrick McMurphy. HD Wallpaper and background images in the sinema club tagged: jack nicholson randle patrick mcmurphy r p mcmurphy one flew over the cuckoo's nest movie fan art wallpaper thecountess.